UNAwheel Mini claims to be the world’s lightest wheelchair power add-on. The product weighs just over 5kg and can travel up to 10mph. It is designed to be user-friendly and “classy”, according to its Spanish manufacturer. 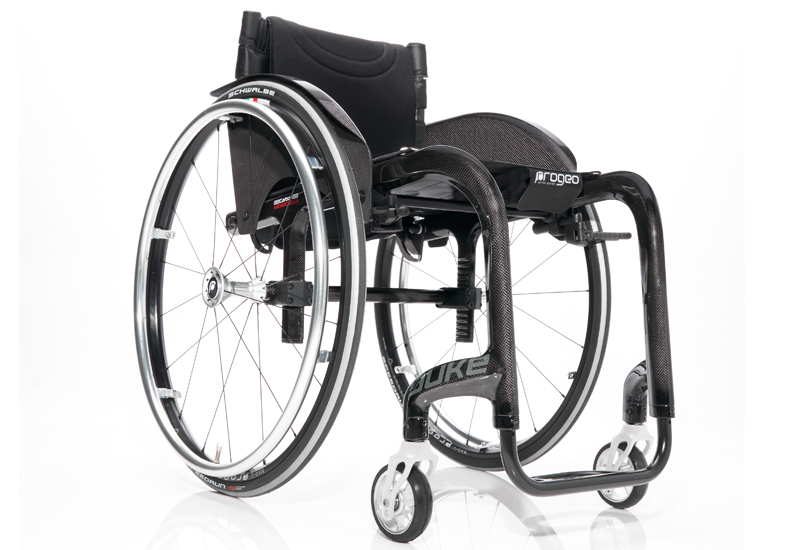 The product also aims to be affordable and the UNAwheel Mini brands itself as ‘the Batmobile of wheelchair power assists’. 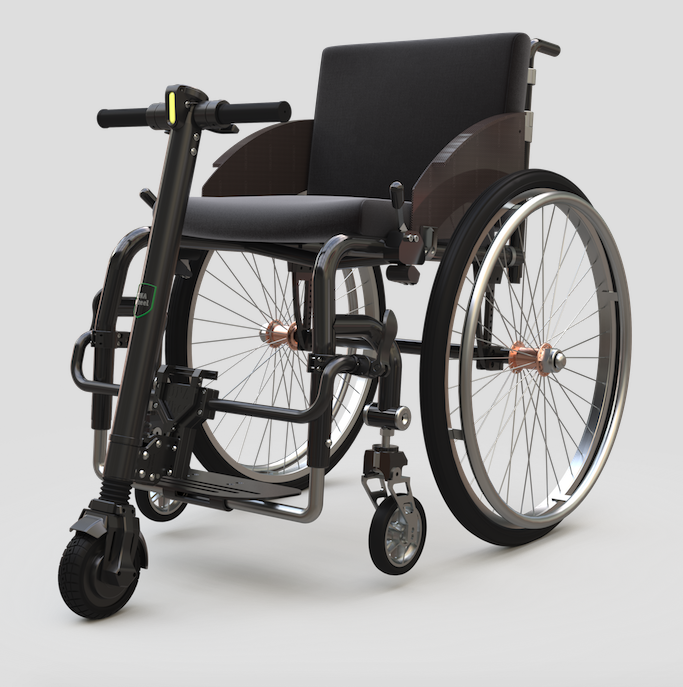 The supplier said: “It’s black, it’s powerful and it has a hero in the driver’s seat.” The power add-on can be attached and detached from a wheelchair in 10 seconds in two simple moves and its minimalistic appearance is designed to make it as discrete as possible. 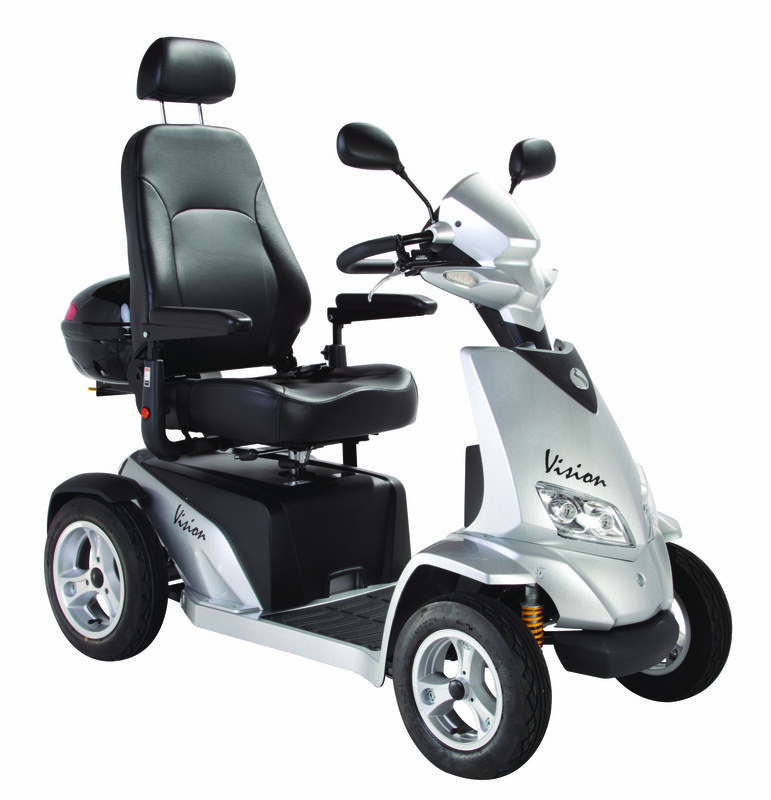 Electric Mobility is returning to Naidex to showcase its flagship products, including the Vecta Sport 8mph performance scooter, Rascal Rio 4mph compact powerchair and the P327 Mini Seat Lift with 7.5inch column lift. It will also be showcasing the new Ambassador UK-made riser recliner. Its sales and support team will be on hand aiming to build strong business partnerships. The firm distributes its products nationally through its network of authorised dealers, who it will hope to see at the show. Electric Mobility is inviting delegates to visit its team and experience first-hand its range of mobility equipment and to experience the unveiling of newly-launched 2019 products. Italian active wheelchair manufacturer, Progeo, has been developing rigid and folding chairs in aluminium and carbon-fibre for nearly 25 years. 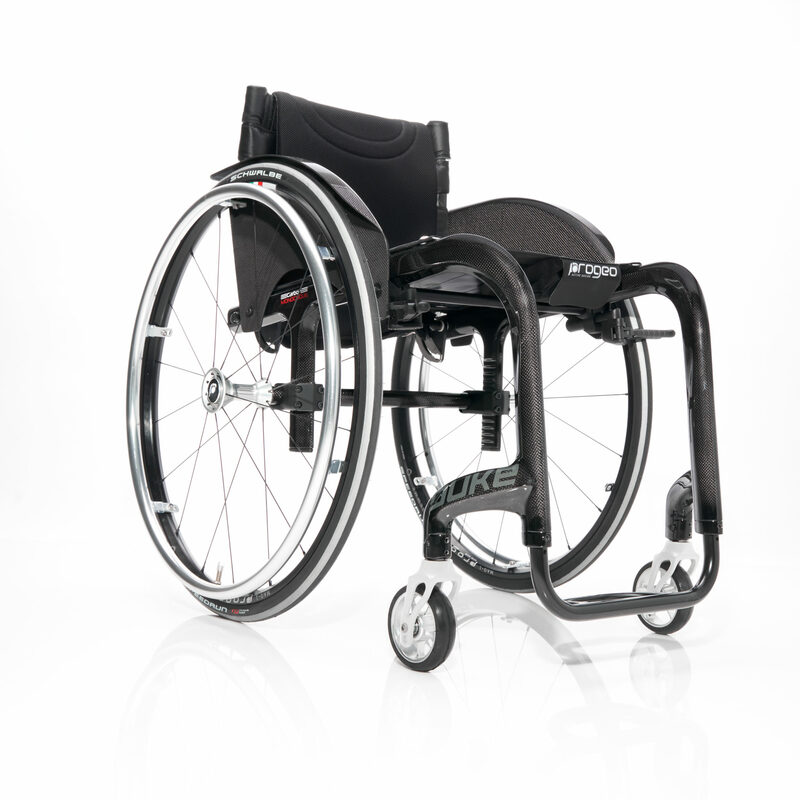 The supplier offers a large range of bespoke and ultra-light wheelchairs all designed and made in Italy. Progeo is represented by more than 10 dealers in the UK market and its brand is becoming increasingly well-known throughout the industry and among end-users. At Nadiex, Progeo will be presenting visitors with some important news on its range after making adjustments to equipment in direct response to feedback from UK customers. Progeo recently built a new HQ that brings together three separate manufacturing facilities. 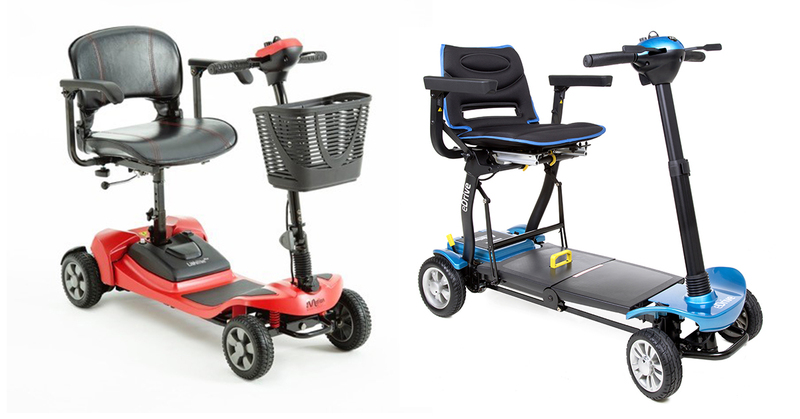 This year at Naidex, Motion Healthcare will showcase its eDrive automatic folding scooter alongside its 26 mile lithium car boot scooter and Foldalite range of folding powerchairs. The company says it works with “high quality and reliable” factories around the world to source, develop, import and distribute mobility products to its network of approved dealers in the UK. Aiming to be at the forefront of innovation, with a solid functional base, Motion Healthcare’s full range is designed with the user in mind to provide “unrivalled” features and ensure they are strong market players. The supplier says its core values are customer focus, trust, honesty, innovation, quality and functionality. 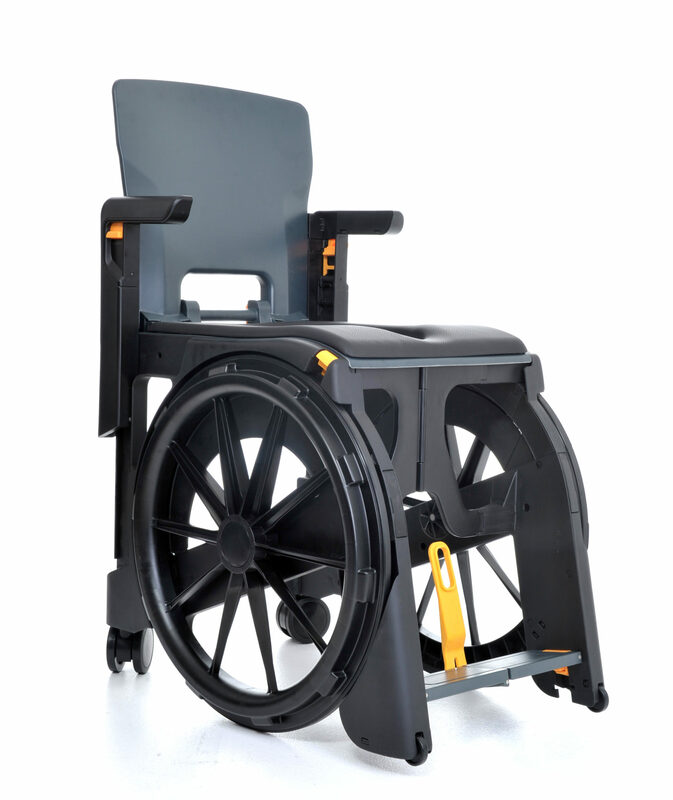 Osprey hopes to use Naidex as a platform to help its WheelAble commode take flight among the UK’s trade professionals. The shower chair and commode claims to be a “must-have travel companion for the 21st Century”. Whether it’s a weekend away in the car or a long-haul flight to far destinations, the WheelAble is designed to be versatile and aid users wherever they might travel. Lightweight and compact, the WheelAble is made of strong moulded plastics designed to be folded away in six simple steps. Features and benefits of the chair include: compatible with any standard toilet; 100% rust resistant; and optional carry case marked with Blue Badge.